Tonkin Subaru was pleased to be the primary sponsor of the Columbia Gorge Windsurfing Association's 2017 Beach Bash, a 4 day event and fundraiser to support local community programs. The CGWA supports river access for all watersports, making instruction and equipment available to kids of all socio-economic backgrounds and generally promoting the river experience for locals and visitors alike. In conjunction with this event Tonkin Subaru also conducted an additional fundraiser for Kiteboard 4 Cancer and Project Koru in support of young adults with cancer as a LOVE PROMISE fulfillment. What could be better than experiencing your first time behind the wheel of a new Subaru vehicle? Perhaps you're interested in ample cargo room to make family trips easier, or maybe you're looking for that special sporty ride for weekend driving. In either case, Tonkin Subaru has you covered. If you're looking for something well-loved, something with a little more character, then our used Subaru models are sure to please. Your satisfaction is our goal with any in our wide selection of used vehicles, so leave your lemon-related fears at the door and come find that perfect pre-owned gem you've been searching for. So, you've found your favorite Subaru: now what? After helping you discover your next new or used Subaru Forester, Crosstrek, Outback, Impreza or Legacy, Tonkin Subaru doesn't simply disappear. We know that car loan and lease options can quickly become confusing, especially when you're not well-versed in the topic. That's when our Subaru lease experts jump into action; these financial gurus are available to answer any questions that you may have and help to guide you down the path to ownership! So you've driven off the lot and are on your way home, but out of sight certainly does not mean out of mind. Our on-site car service and repair experts are at your beck and call when you need routine maintenance or a bigger fix, if necessary. We only use genuine Subaru parts, so you can be sure that quick and quality work is the name of the game. 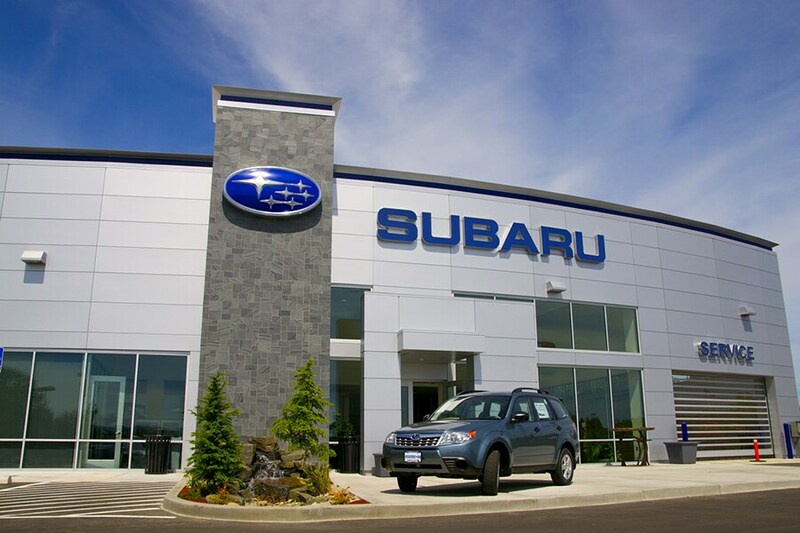 Here at Tonkin Subaru we're serving drivers in Hood River, White Salmon WA and Goldendale WA with all of their automotive needs. Whether a new or used car is in order or a little maintenance is required, visit us at 2222 W 6th St in The Dalles, OR or call us at (888) 218-9504,and we'd be happy to help you, too.